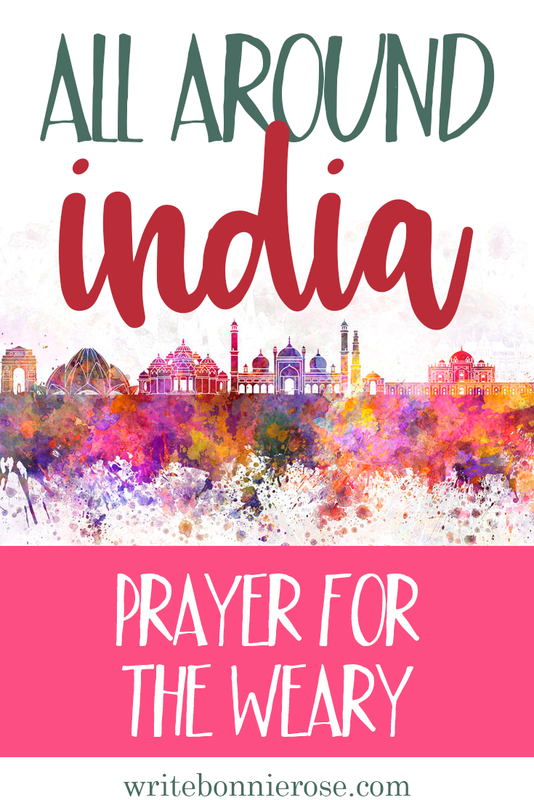 This morning in Sunday School, our teacher told us we were going to learn about India in a different way than we usually do. She told us to imagine we lived far away from our families because God had told us that there were people He was calling us to go tell about Jesus. So we went like He said. But when we got there, things didn’t work out the way we thought they would. The people didn’t want to hear about Jesus. Some listened quietly, but they didn’t believe. Other people got mad. One person tried to hit us! How would we feel? There are missionaries and Christians all over India who want nothing more than to see people believe in Jesus. They pray and they work hard. Some of them are far away from their families. Some of them are treated badly by the people they want to help. And they get tired. But Galatians 6:9 says, “And let us not be weary in well doing: for in due season we shall reap, if we faint not” (KJV). God knows a lot more than we do. He knows why things happen the way they do, even when we don’t understand. And He knows everything that will happen as a result of us doing what He tells us to do, even when it doesn’t work out the way we thought it would or takes a long time.